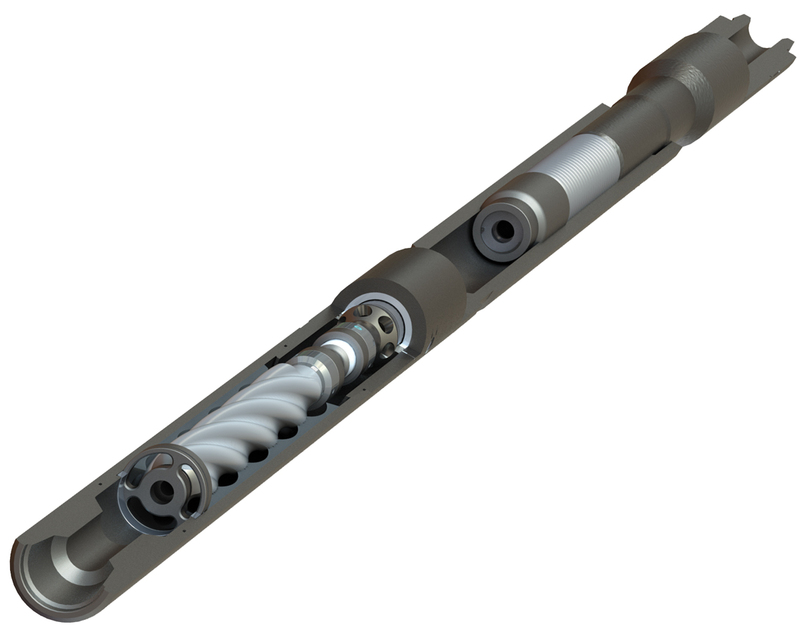 The original negative pressure pulse vibration device was developed to minimize friction and improve ROP while drilling extended reach wells. In the graph below you can see that with the negative pulse and low frequency we are able to achieve a larger differential pressure pulse with less of a stand pipe pressure increase. An axial vibration is produced by a negative pressure pulse that is created by venting fluid to the annulus at a controlled frequency. A shock sub, unique to the Ratler, transmits this negative pulse into a high magnitude axial oscillation, which breaks static friction between the drill string and the annulus wall.